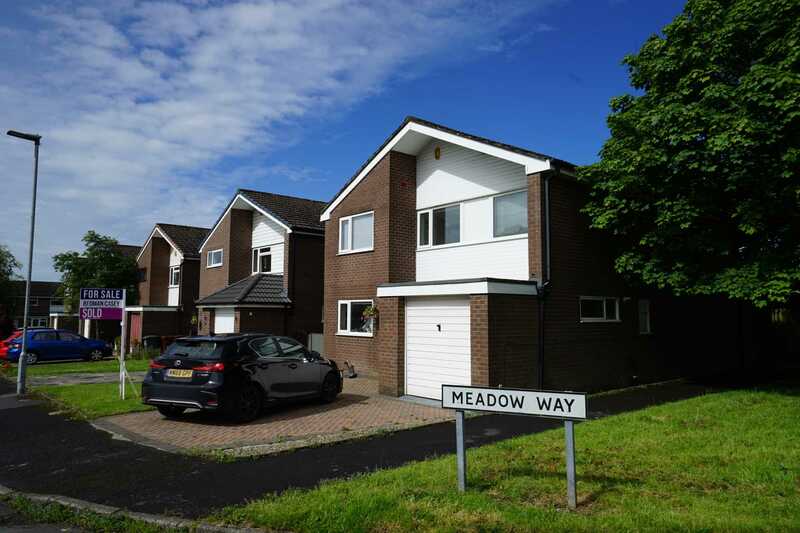 Meadow Way Edgworth, a picturesque village, traditional, community orientated set on the fringes of surburbia with local school, village shops, the historic Barlow Institute of special historic interest and now a central focal point within the community offering cafe, functions, events, room hire and behind children`s park and lets not forget the local cricket pitch. 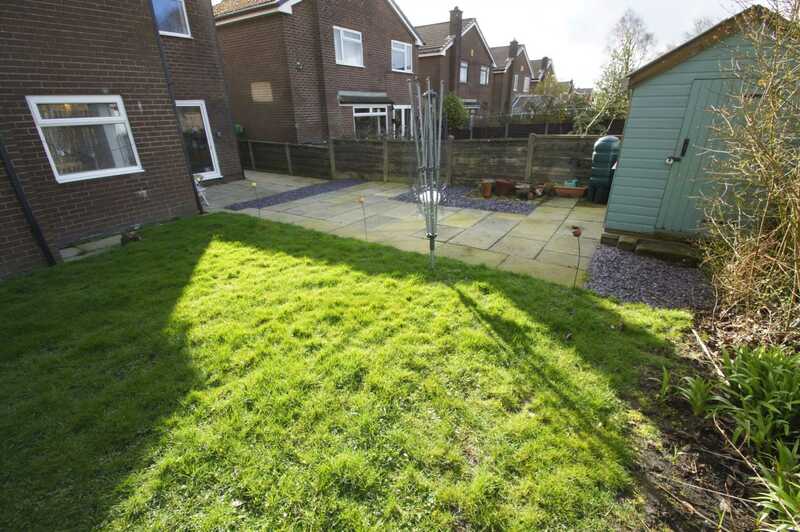 The property is detached and been extended and offers hall, lounge, study, dining area, kitchen, W.C. with four bedrooms on the upper level, en-suite and family bathroom both of which have been upgraded. 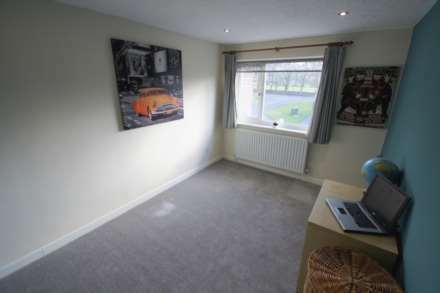 Externally there is ample parking at the front and attached garage. To the rear garden and patio areas. The property is set within easy reach to the infamous Holden`s Ice cream shop also local butchers and traditional country pubs. For the ramblers and dog walkers people can walk through to the Wayoh and visit Chapeltown with the local Italian restaurant Guiseppes or possibly take a short drive to walk around the varying reservoirs nearby such as the Entwistle, or the Jumbles. 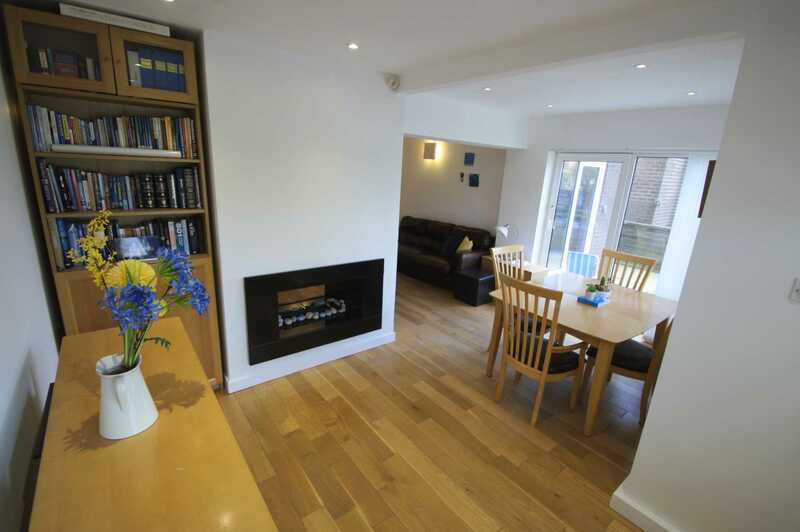 Early viewing is an absolute must to fully appreciate the accommodation on offer and location it rests in. 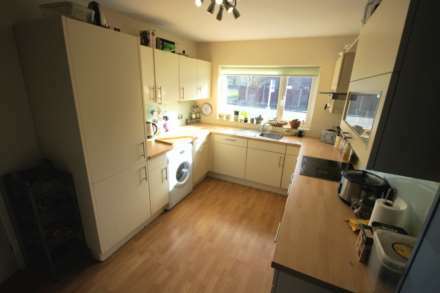 Entrance door to hall with stairs rise to upper level, doors lead to further accommodation, door to W.C.
Access from hall to kitchen with a range of wall and base units with contrasting work surfaces, power points, integrated oven & grill with hob over, inset sink with mixer tap, integrated fridge and freezer, laminate floor, double glazed window to front elevation, door to side aspect, plumbed for washing facilities. 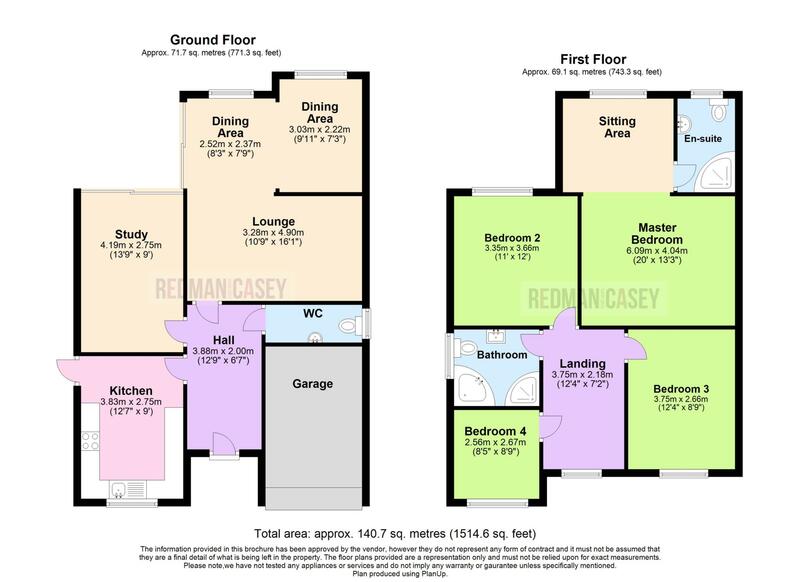 Access from hall to lounge with solid Oak flooring, power points, wall mounted radiator, feature fireplace, access to extended dining area. 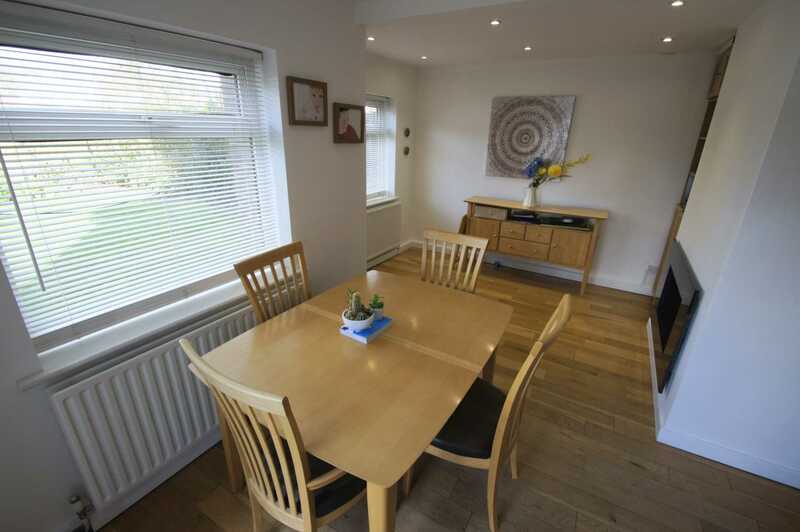 Access from lounge to extended dining area, double glazed patio doors to side aspect, double glazed window to rear, continuation of solid oak flooring, power points, ample space for dining. 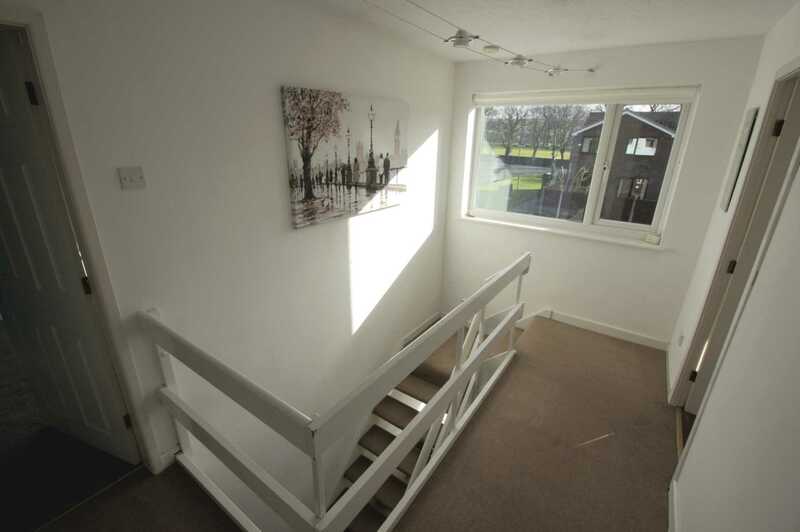 Access to reception room (currently used as study) also could be used as play room or sitting room with sliding patio door to rear, power points, wall mounted radiator. 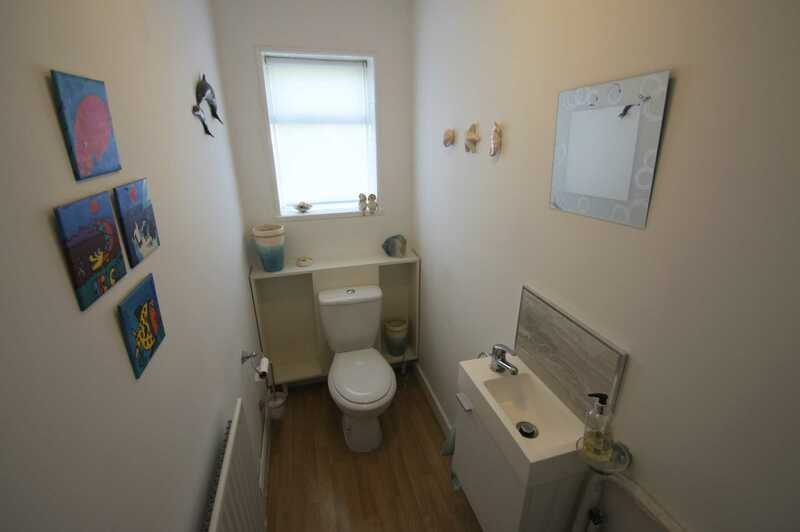 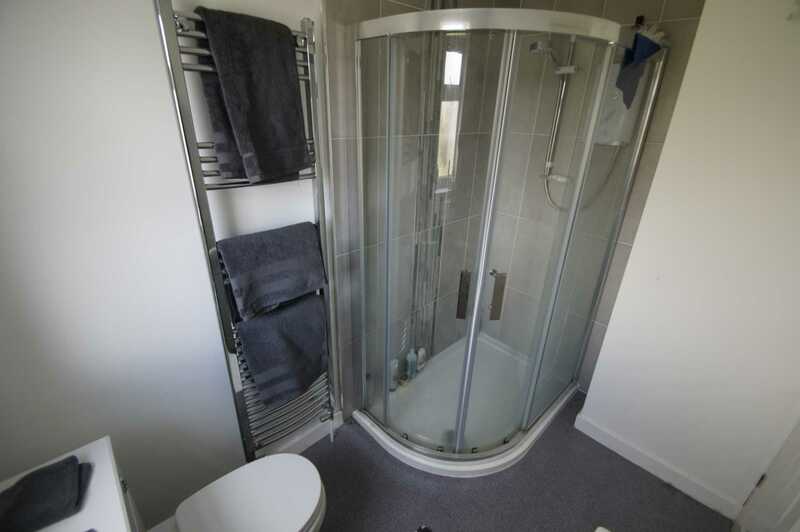 Access from the hall with low level W.C., vanity wash basin with under storage, single glazed frosted window, laminate flooring, wall mounted radiator. 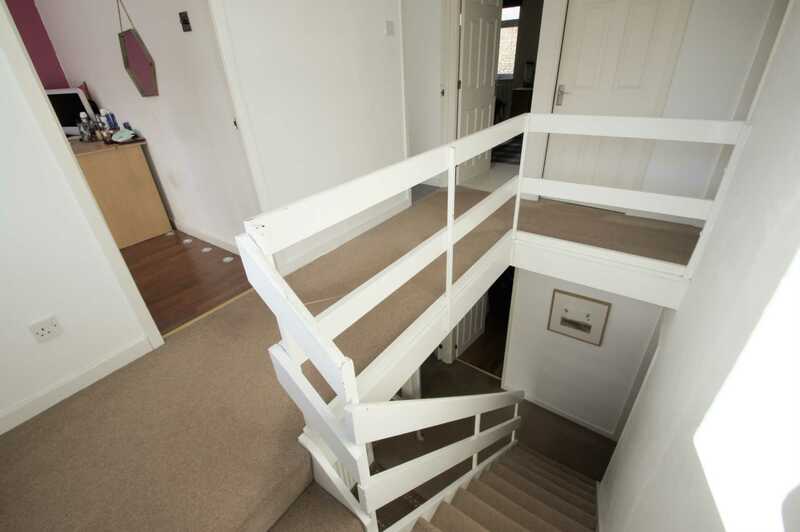 Stairs rise to first floor landing, double glazed window to front, doors lead to further accommodation. 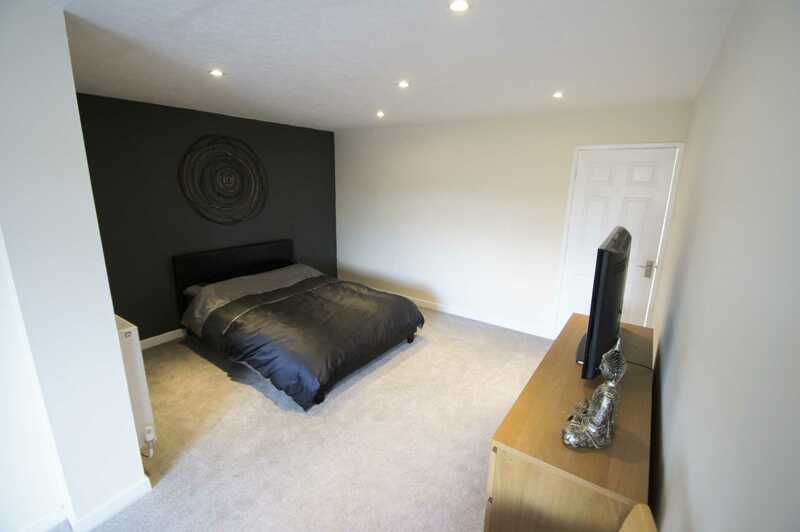 Access to master suite an exceptional bedroom with double glazed window to rear, space for free standing or built in wardrobes, wall mounted radiators, power points, access to en-suite. 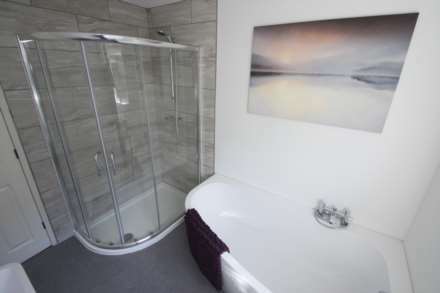 modern en-suite with shower cubicle, low level W.C., vanity wash basin, double glazed frosted window, wall mounted radiator. 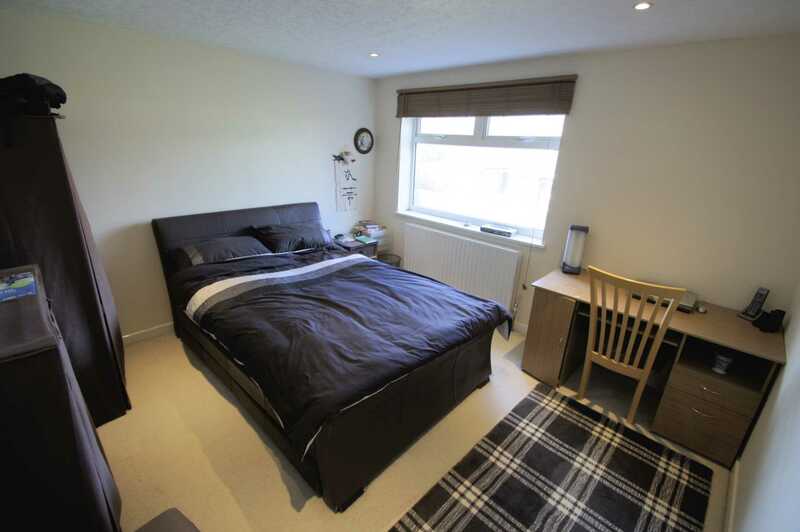 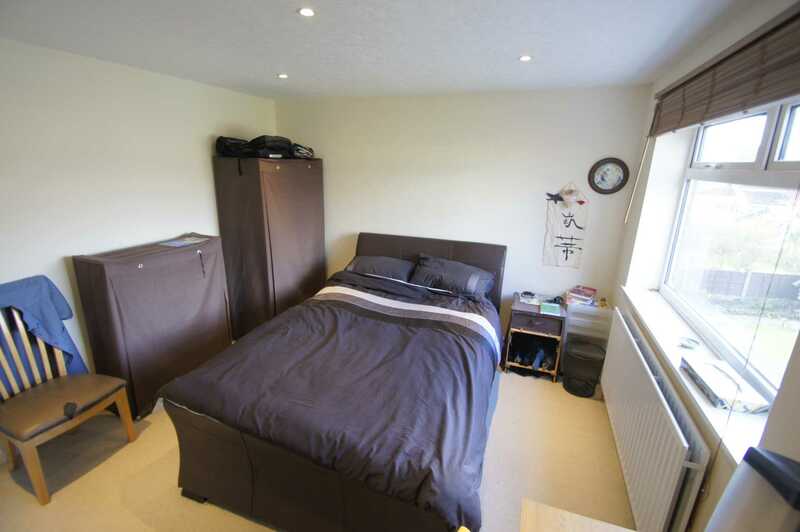 Good sized double bedroom with space for free standing or built in wardrobes, power points, wall mounted radiator, double glazed window to rear. 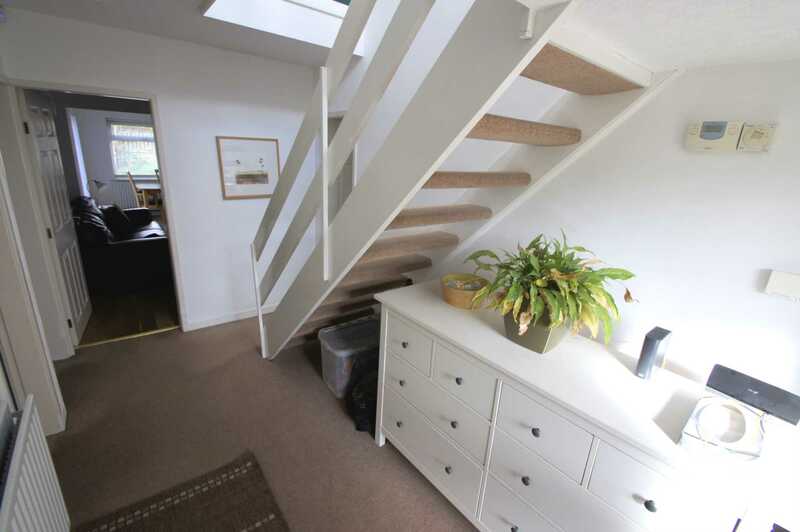 Access to bedroom three from the landing with double glazed window to front elevation, power points, wall mounted radiator, space for free standing or built in wardrobes. 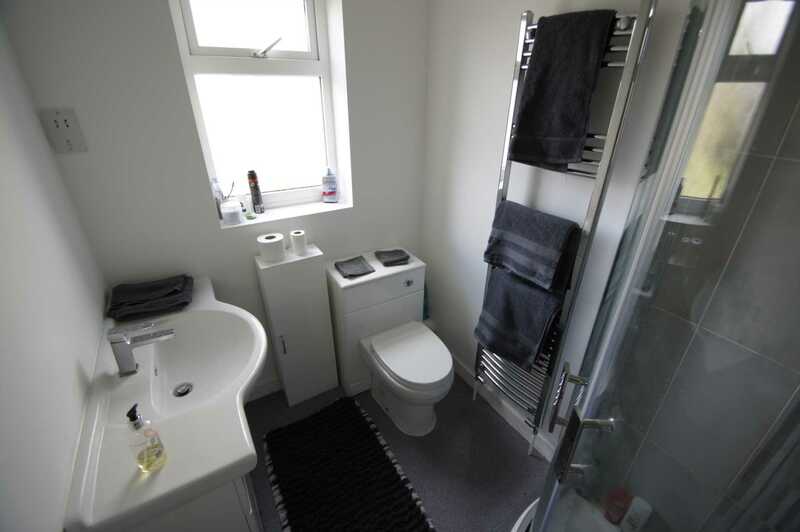 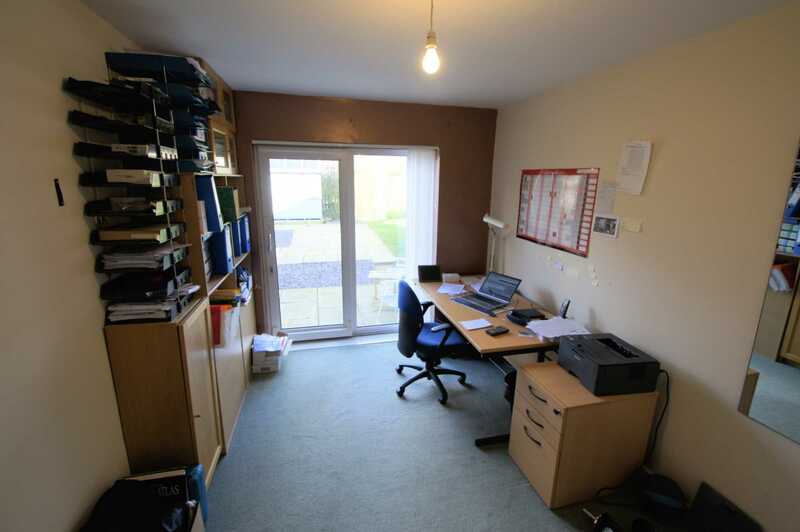 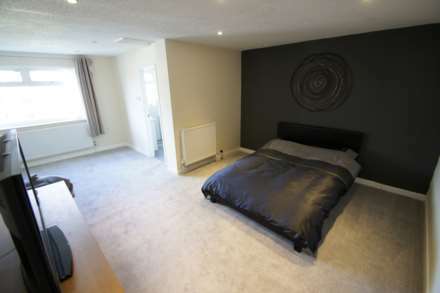 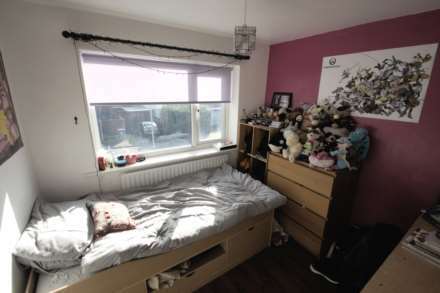 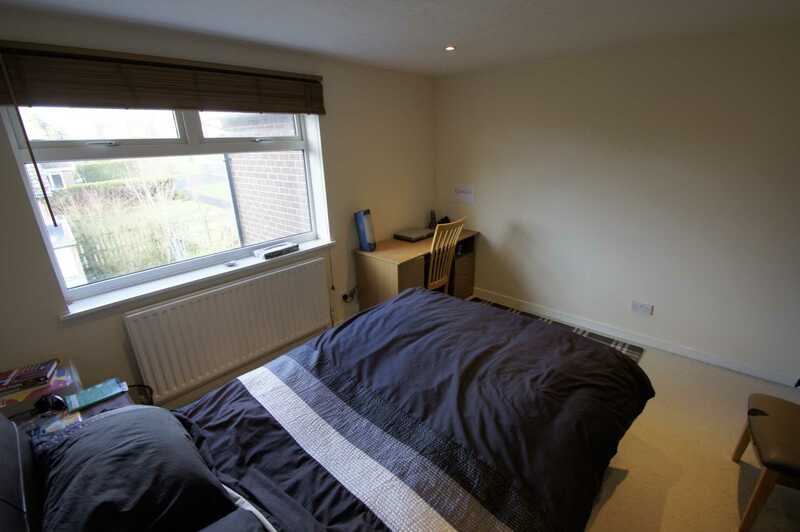 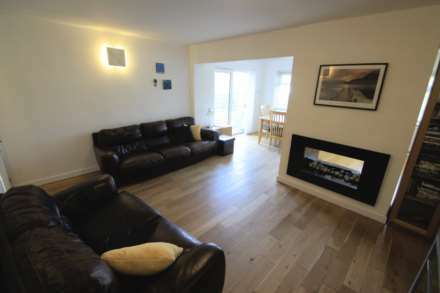 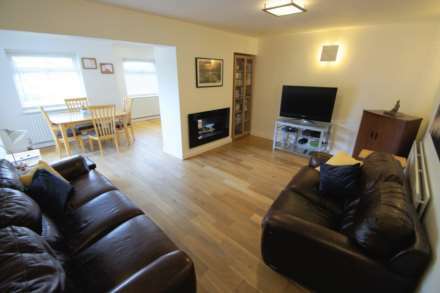 Situated to the front aspect with double glazed window, wall mounted radiator, power points, laminate flooring. 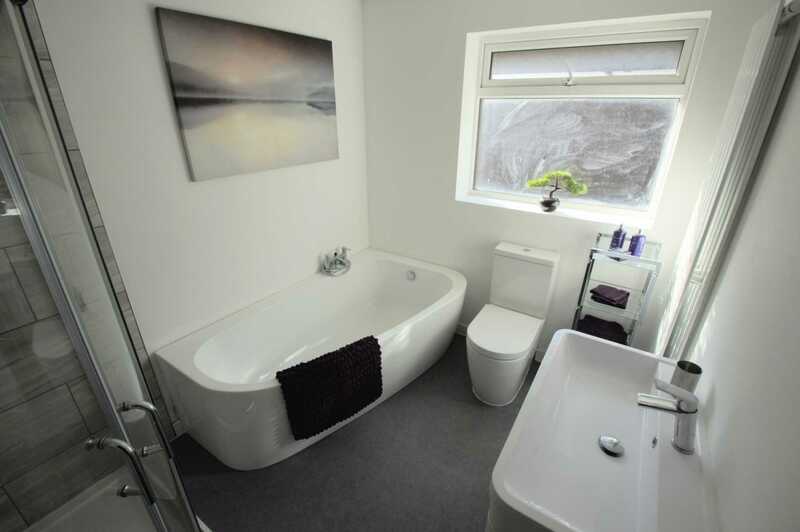 Modern bathroom with corner bath with mixer tap, separate shower cubicle, vanity wash basin, low level W.C., wall mounted radiator, double glazed frosted window. 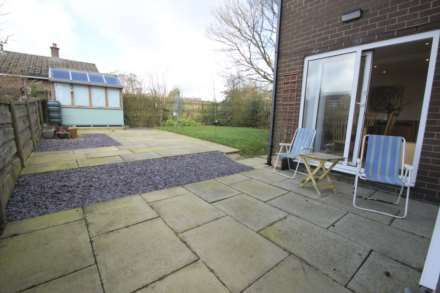 To the front a block paved drive with lawned area and attached garage with up and over door. 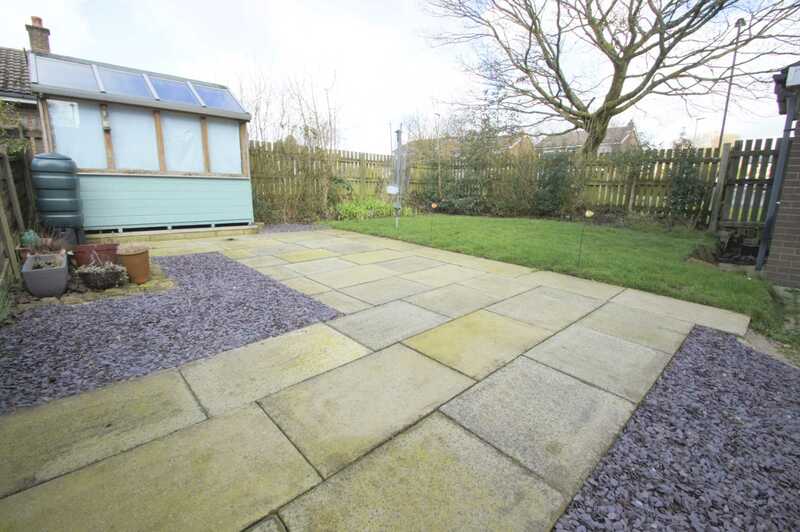 To the rear a lawned area with stone flagged patio with traditional borders.